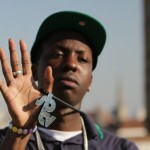 Jamal Edwards is a leading young British entrepreneurs. He started a media empire with his youth broadcasting channel, SB.TV, at the tender age of 15. Now 22, Jamal has an estimated fortune of £8m, runs a production team of ten people, and has worked with stars like Jessie J and Nicki Minaj. He played a key role in breakout of Ed Sheeran, whom he counts among his friends.